The Lil’ Bravest was started in memory of these two great men. 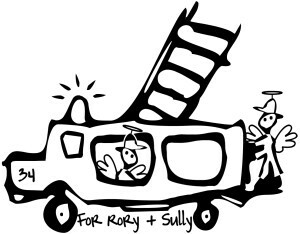 Rory volunteered his time at Blythedale Children’s Hospital located near his home in Westchester, NY. John was responsible for their annual firehouse Christmas dinner for the elderly residents of Washington Heights. 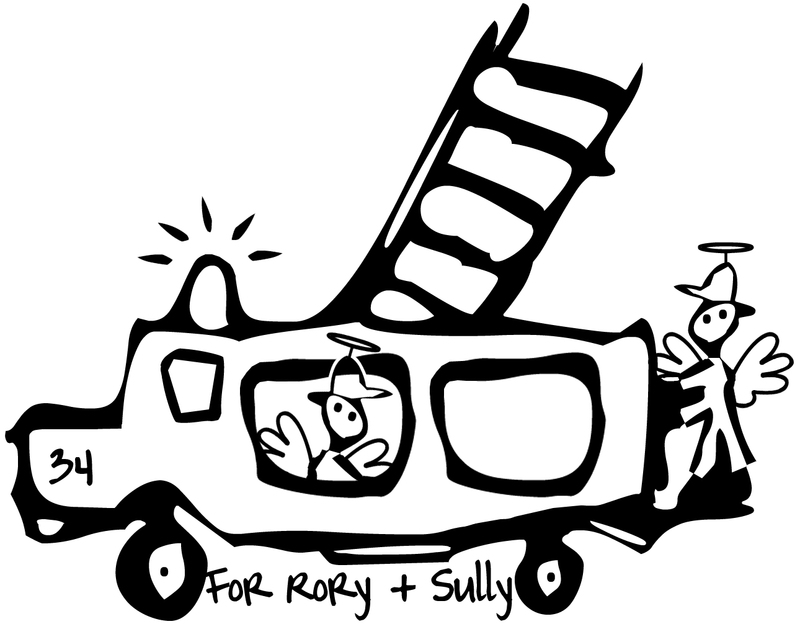 Following their untimely deaths, they decided to combine the ideas of John and Rory and begin visiting the Children of Columbia Presbyterian’s cancer center on holidays. Columbia Presbyterian is the nearest hospital to their firehouse, located in their first due response area. Their firehouse would bring candy to the children who were stuck in the hospital for the holidays. It was a huge success, bringing smiles to the children’s faces. They wanted to do more, so they began having pizza parties for the children, where they would spend the day with them, provide food for them and play games. Funding for the parties was solely through tee shirt sales. If one member of their firehouse bought a shirt, that sale would then pay for a tee shirt for one of the children. Members of the firehouse would also pitch in and pay for the food and drinks they would bring. It started out as two parties a year, one around Christmas time, and an end of the school year party. In hopes of “doing more”, and in honor of John Sullivan and Rory O’flaherty they decided to start the Lil’ Bravest, Inc. Since then, Lil’ Bravest has branched out to make a difference for children in Bythedale Children’s Hospital, Cohen’s Children Medical Center, Mt Sinai and Montefiore Children’s Hospitals in NYC, as well as Hackensack University Children’s Hospital, St. Jude’s and DC Children’s Hospital. You can these brave children by donating to our organization which would help make a difference for them and their families. Click here for information on how to donate.